Employee awareness and energy management tools coupled with 3D interactive eLearning drives down energy usage and costs for businesses. Worldview Learning Limited, the provider of interactive eLearning and energy awareness initiatives for businesses, today announces the launch of its “Energy Awareness Campaign In A Box” – a complete and cost-effective solution for engaging employees in energy awareness and driving significant savings in energy consumption for businesses. The solution is centred on Worldview Learning’s ‘discover’ platform, a cloud-based interactive 3D learning environment that can be uniquely branded and fully customised to inspire energy savings across an enterprise’s entire workforce and across multiple sites. The “Energy Awareness Campaign In A Box” includes multi-user access to the ‘discover’ eLearning and Knowledge platform, the creation of customised campaign branding, a programme of incentivised competitions and prize-giving, and a touch-screen reception kiosk designed to showcase energy reduction commitments to clients and visitors. Enterprises also have the option to add energy metering, monitoring and targeting software and information services to the core package, to maximise energy measurement awareness and cost savings. According to leading industry bodies, energy awareness campaigns can lead to up to 15% annual savings (source: Carbon Trust, Energy Institute). The ‘discover’ eLearning and Knowledge platform is designed in 3D, based accurately on an enterprise’s building or campus, allowing web-based users to navigate through the interior and exterior of their own facility and learn how they can help to save energy. Information hotspots and pop-up energy tips proactively appear as the user explores the virtual tour, and are fully customisable through the online platform. The solution comes complete with seven eLearning modules targeted at all organisational levels, from the board room to the boiler room. The foundation General Energy Awareness module is designed to meet the needs of every member of staff and help businesses to meet key Corporate Social Responsibility (CSR) goals. Following each eLearning module, users are presented with a short multiple choice quiz to check and reinforce learning outcome and, on successful completion, awarded a campaign-branded certificate. Facilities maintenance and support services provider Norland has harnessed Worldview Learning’s ‘discover’ platform to complement its engineering and consultancy expertise and to provide a holistic energy and sustainability solution. 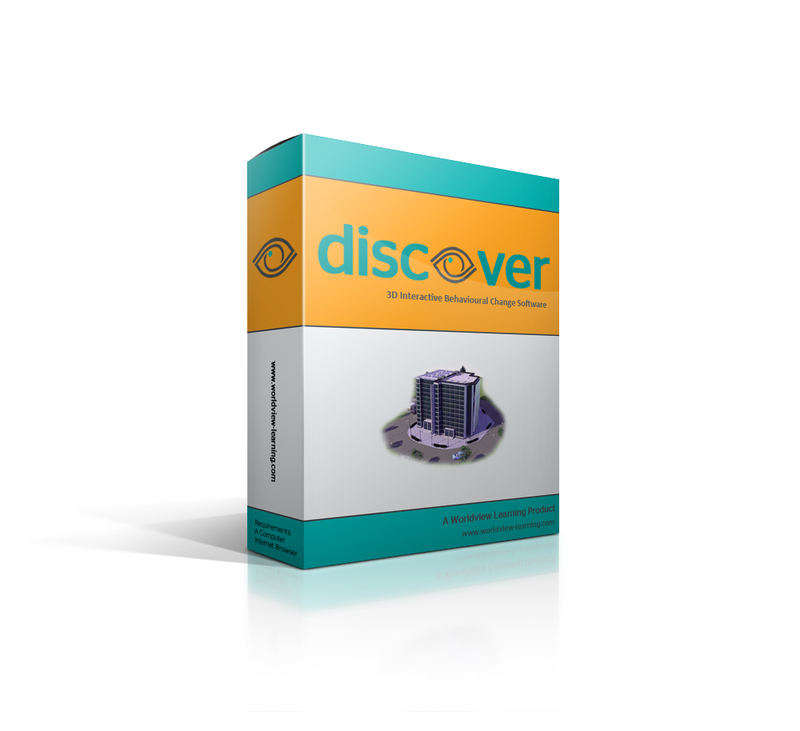 We saw the power in Worldview Learning’s ‘discover’ platform almost immediately. Like most companies of our size, we were already using training software to deliver knowledge-based and compliance-based training to our general staff and technical teams. What we saw in the ‘discover’ platform was something much more engaging whilst still keeping the compliance tracking functionality we needed for our training records. What caught our attention most of all was the ability for us to update the ‘hotspots’ in the 3D environment with our latest sustainability information and case studies ‘on the fly’, without the need for costly reworks. This means we now have a bespoke energy training platform for each employee at a push of a button. Staff awareness and engagement with organisational energy and carbon goals is absolutely crucial – for ensuring commitment, behaviour transformation and, ultimately, delivering transformative savings for businesses. With our ‘Energy Awareness Campaign In A Box’, we are providing a powerful and cost-effective platform that enables even the largest enterprises to roll out tailored energy efficiency programmes that empower employees and produce tangible results.